Try this literacy activity during large-group time. Children dance and move to music around alphabet cards the teacher has placed on the floor. When the music is turned off, children stop on one of the cards. For a fun variation, you can also have children help make the alphabet cards they use for the game. Letter cards (recommended 8.5 x 11 cardstock); there should be an uppercase letter card for the first letter of each child’s and adult’s name. If children’s names begin with the same letter, make multiples of that letter so that every adult and child has a card. Introduce the activity to the children. You might say, Today we are going to do an alphabet dance. When the music is playing, we will dance. When the music stops, we will quickly find a letter to stand on. Turn on the music and dance with the children. After a few seconds, stop the music. Encourage children to stand on a letter. When everyone is standing on a letter, look down at the letter you are standing on and make a comment about it. You might name the letter or mention that it is a letter in a child’s name (e.g. I’m standing on the letter L. Hey, Louis, that’s the first letter in your name). Invite children to say something about the letters they are standing on. You might say, Take a look at the letter you are standing on and the letters around you. What letters do you see? Give children a moment to talk together about the letters they see. Acknowledge what they say by repeating their words (e.g. Nya says she is standing on her letter, N). You might ask if anyone else is standing on the first letter of their name or add additional information about a letter (e.g. Carter is standing on the letter that makes the /t/ sound). Tell the children that you are going to play the music again. 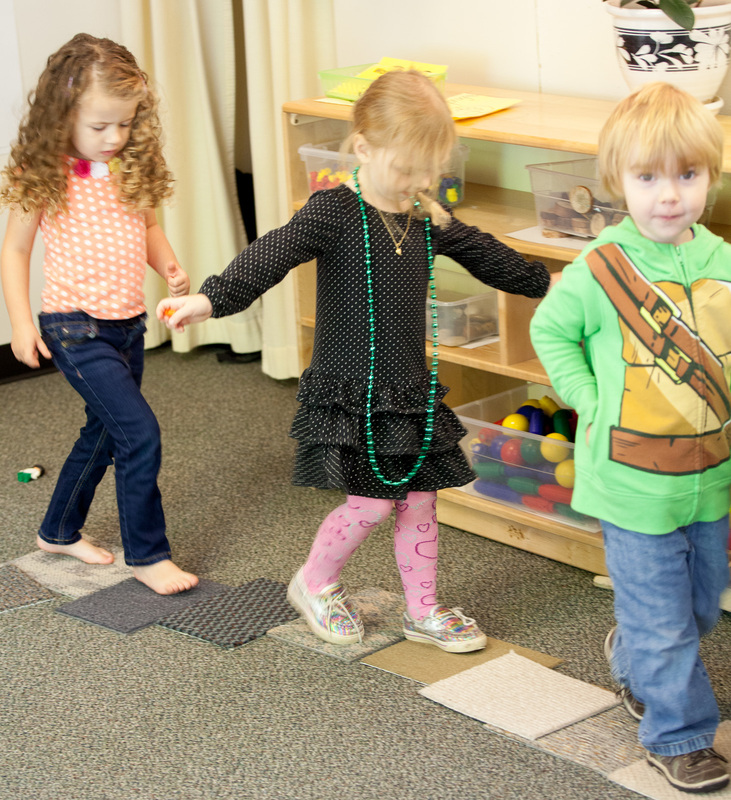 Encourage children to find a different letter to stand on when the music stops. When children have had the opportunity to share about their letters again, turn the music back on and repeat the game. Note: The goal is to encourage children to talk about the letters without testing them on letter names and sounds. Some children will be very excited to name and talk about the letters they are standing on. Other children may simply look at letters without commenting. Support these children by talking about the letters they are standing on (e.g. Olive, you’re standing on the D. That’s the first letter in Dustin’s name). Let children know when you come to the last round of the game. To transition to the next activity, call out the names of the letters children are standing on. Ask them to move to the next part of the routine when they hear the name of the letter they are standing on. Originally published by: HighScope Early Childhood Applied Practice. “Alphabet Dance” The Active Learner. 1.2 (2018): 39. HighScope Educational Research Foundation is an independent, nonprofit, research, development, training, and public outreach organization with headquarters in Ypsilanti, Michigan. HighScope’s mission is to lift lives through education. We are a diverse team of researchers, educators, and passionate professionals who have one thing in common — we share the conviction that all children deserve the highest quality education. 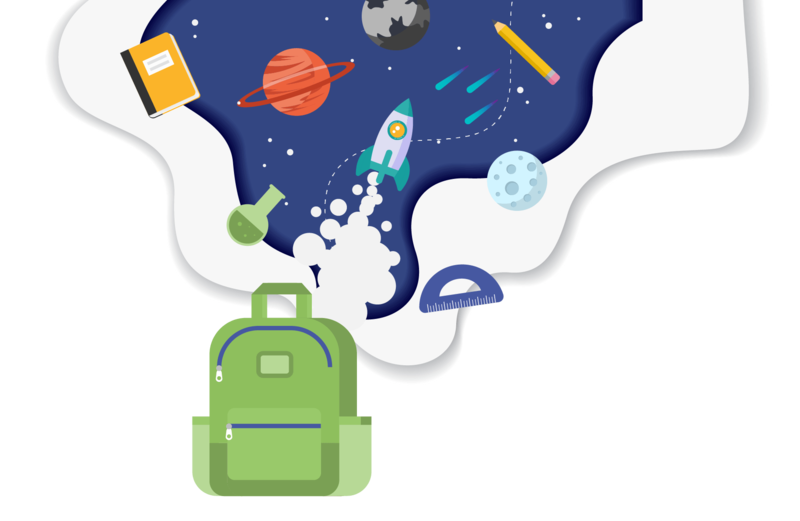 We envision a world in which all educational settings use active, participatory learning so everyone has a chance to succeed in life and contribute to society. Visit our website at highscope.org for more information.